When you start preparing your files that eventually you will send to a printer it is important that you are saving everything correctly, and taking all steps to avoid the common mistakes designs make when making a file for print. Below are the most common mistakes I have found and a brief explanation on how to correct the problem. Many versions of the same typeface exist, and if a printer substitutes a typeface, they can risk causing the text to re-flow or look different than it was intended to look. Always include the exact fonts used in your files. When you create a PDF, embed your fonts. This ensures that even if the person who opens the document does not have the font you used on their computer that they are able to view and print the file correctly. Page layout software may show an image, but the actual file could be missing. It could have become unlinked if it was saved in a folder that differs from the original location. With missing links, graphics will output in low-res or will be blank. Make sure all links are up-to-date. Clean up files before releasing them. When unnecessary colors, layers or images are included with a file, it increases the chance for error at the printer. Remove all unused artwork and colors. Large, solid black areas and text over 36 points should use Rich Black to prevent the color from looking gray. Rich Black consists of 30% Cyan, 30% Magenta, 30% Yellow, 100% Black. For regular body text, do not use Rich Black. Any image that is less than 300 dpi will produce a low image quality. 72 dpi is always used for web and should never be used for print. An image resolution greater than 300 dpi will increases the file size and printing time, without increasing the image’s quality. Use TIFF file formats for printing. JPG and GIF are great for the web because the file formats compress, but this is not ideal for printing because a loss of color and detail can occur. Printers print in CMYK format. If you leave images or graphics as RGB they will print with incorrect color settings so check your swatches and images before making your PDF to avoid these issues. Make sure your document size is your trim size. Incorrect sizing and page settings can’t be fixed by scaling up or down because proportions may not be the same. Bleed photos or other graphics that extend to the edge of a page must be set to overlap the trim margins by an 1/8th (.125) inch to avoid a white line along the edge. Print out your design often and closest the the actual size of the book as you can get so you can spot if an image isn’t high enough quality and other mistakes that are difficult to find just looking at the computer. Printouts should be at actual size (100%) if possible, or indicate what percentage of the final size it represents. If the document has multiple pages, show a mock up of how the folding and binding is supposed to look. 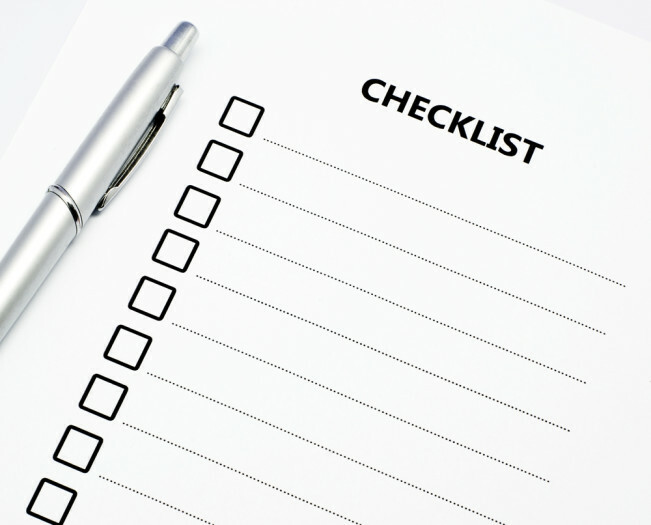 Ultimate Design Checklist for Print Files from Larissa Jaster Design Studio. The Standard, A Sappi Guide to Designing for Print by Sappi Fine Paper.